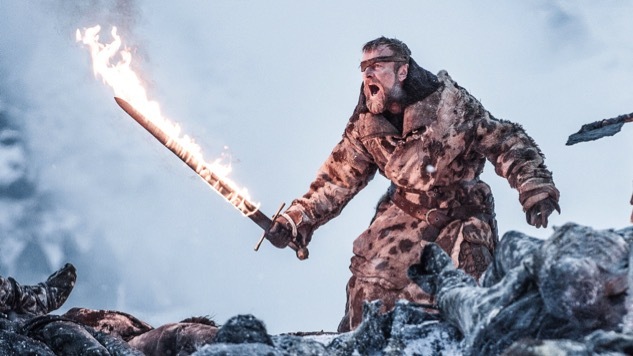 HBO has revealed the title and runtime for this week’s season seven finale of Game of Thrones, confirming that Sunday’s episode will be the longest in the show’s history. At 79 minutes and 43 seconds, “The Dragon and the Wolf” will surpass last week’s “Beyond the Wall,” which was the show’s previous longest installment at 70 minutes. Before that, the show’s explosive season six finale “The Winds of Winter” held the record at 69 minutes. Nice. “The Dragon and the Wolf” airs this Sunday, Aug. 27 at 9 p.m. EDT on HBO. Preview the episode below, and read our review of last week’s episode here.